Use this printable HR log to assess student effort during class activities. Provides students with a space to record HR at the start of an activity, during the activity, and upon completion of the activity. 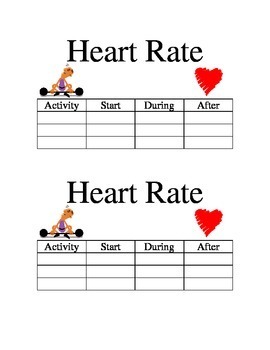 This not only shows students their HR during exercise but also shows them how their heart reacts to different activities.